These antibody tests can be of two classes, the immunoglobulin A (IgA) class or the immunoglobulin G (IgG) test. IgA tests are more sensitive and are more likely to be used. However, individuals with celiac disease are ten times more likely than the average person to be deficient in IgA. Therefore, total IgA and IgG should be tested. In the case of deficiency, IgG must be used. The antibodies, tTG and EMA are more commonly tested for. AGA is not as sensitive or specific, however it is useful for testing children less than two years of age as tTG and EMA tests are inaccurate in infants. Currently, there is not a set standard for ordering this test, and doctors frequently order incomplete panels. As mentioned, patients with celiac disease are ten times as likely to be IgA deficient then the rest of the population. Unfortunately, this is typically the panel ordered, and when a negative test is found, IgA deficiency is not commonly looked for. A positive tTG or EMA will not usually result in a diagnosis of celiac disease. Instead most are referred to their gastroenterologist for a small bowel biopsy. Only if the biopsy comes back positive they be diagnosed. However, tTG and EMA elevation directly correlate with gastrointestinal damage due to gluten. Patients need to be on a gluten containing diet at the time the blood panel is taken. A gluten free diet will lead to a negative test. 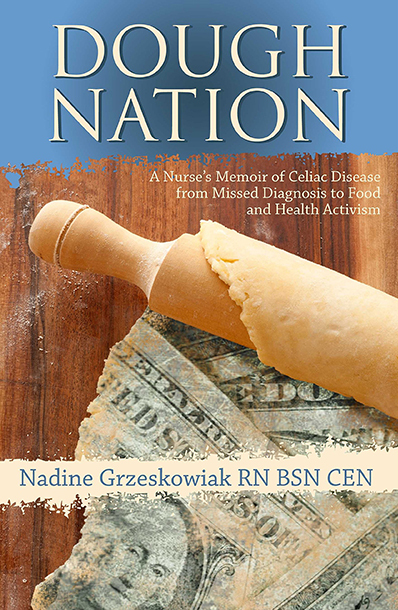 With a negative test, patients and doctors often assume that it equals a negative diagnosis of celiac disease for life. This is not the case. These blood tests are highly specific, meaning there is little chance for a false positive. However, they are not extremely sensitive, meaning you need to have full blown celiac disease in order to yield a positive test. A positive blood test means the damage has already been done to your body. Why wait to go on a gluten free diet until this point?